"Samantha & Sian, a Fairytale Love Story" was commissioned by Sian, a sweet gal from New Zealand. 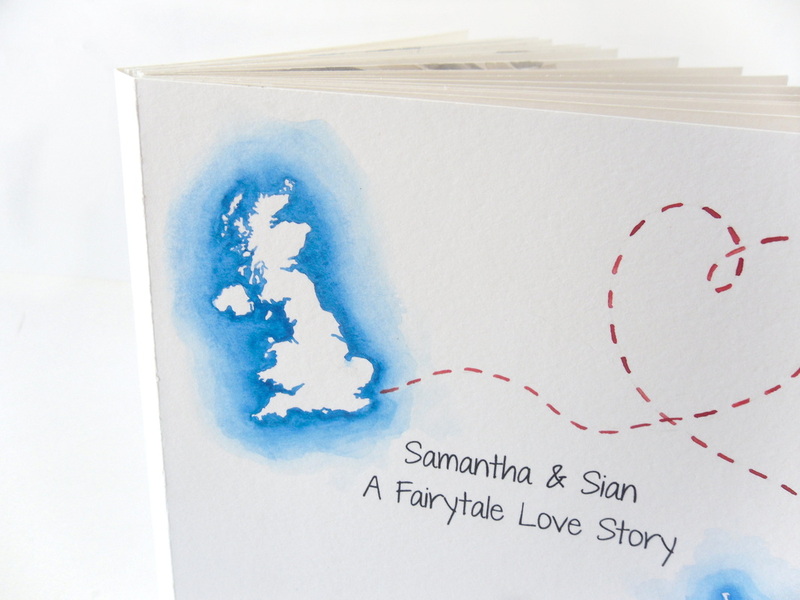 She wanted a children's story style book to detail how she and her girlfriend, Samantha, met in England. 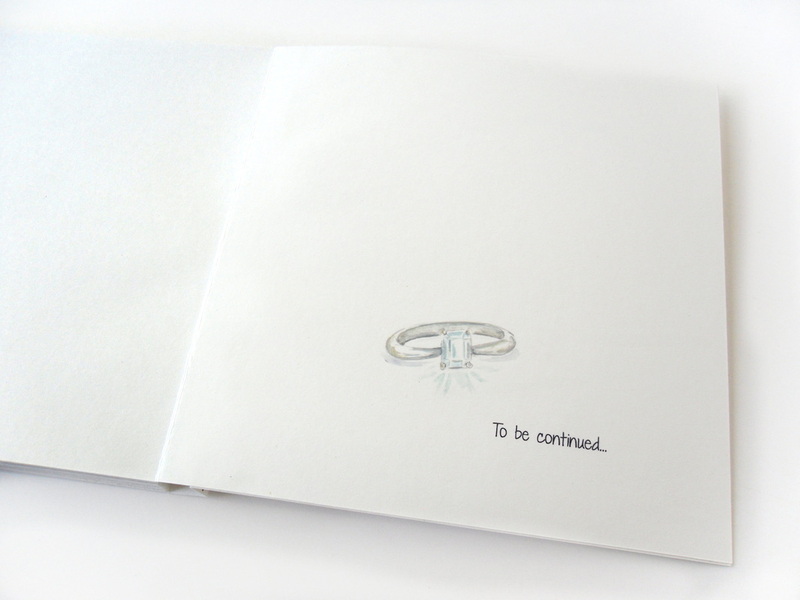 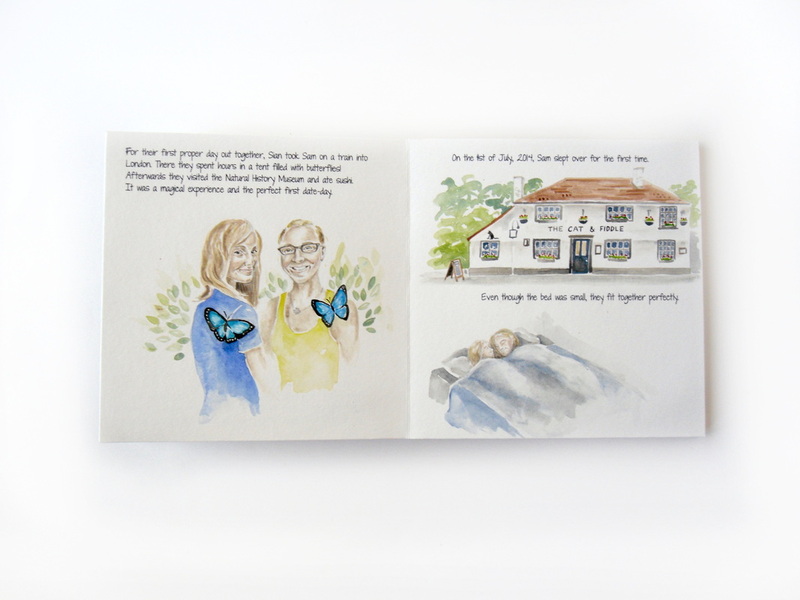 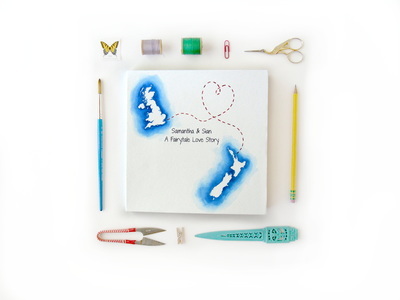 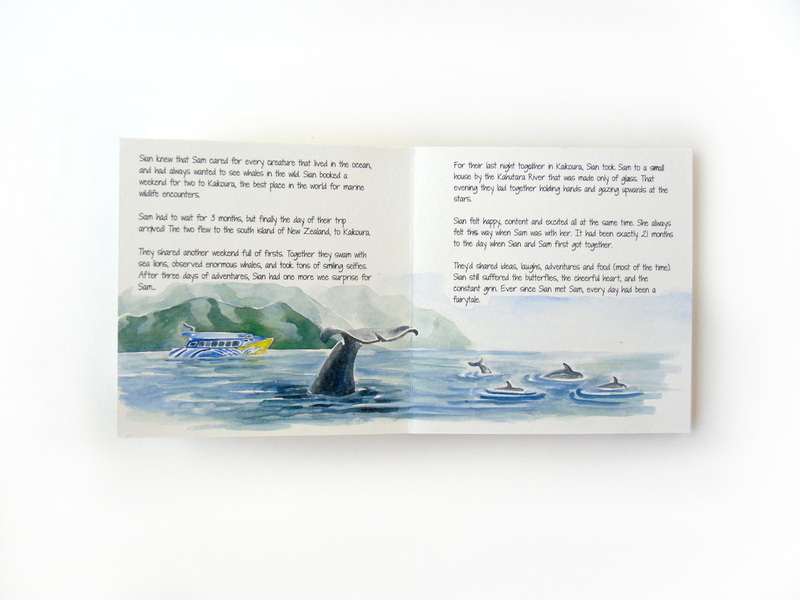 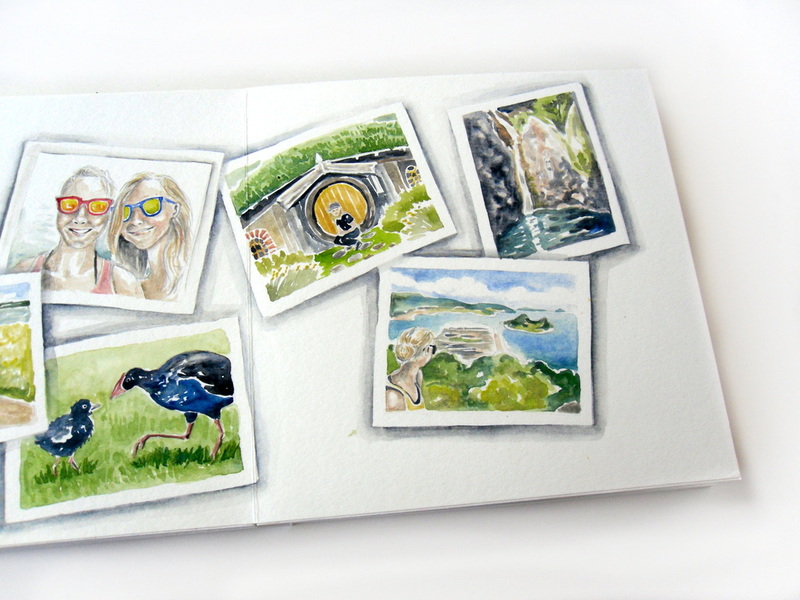 The book ends with Sian's surprise trip to an island off of New Zealand, with the final pages being her proposal with an illustration of the ring. 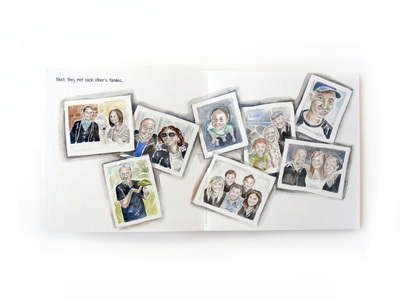 ​You can read more about this sweet book on the Sketchy Notions blog.